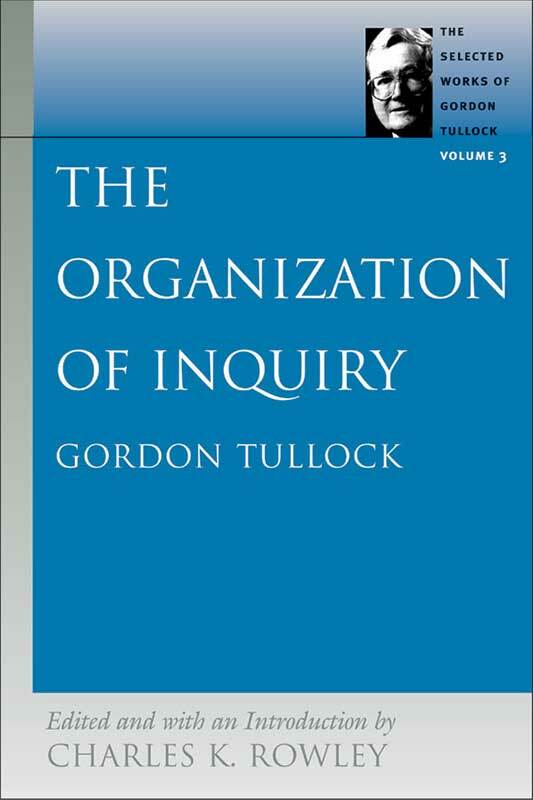 In this book, Tullock focuses attention on the organization of science, raising important questions about scientific inquiry and specifically about the problems of science as a social system. Tullock poses such questions as how do scientists engage in apparently cooperative contributions in the absence of hierarchic organization and why are scientific contributions worthy, for the most part, of the public’s trust? Throughout The Organization of Inquiry, he sets out to answer these questions and many more through a pioneering exploration of the interrelationship between economics and the philosophy of science, much of which defied then conventional wisdom. Anyone interested in any scientific endeavor will find the combination of Tullock’s powerful logic, his sharp forensic skills, and his barbed wit completely elucidating and helpful to their pursuits.